Sharmarke’s links to the United Arab Emirates (UAE), which has cut ties with Qatar and banned imports as part of the Saudi-led blockade, are well known. Saudi Arabia apparently tried to exploit this link to the Somali parliament in a vain effort to bring down the Farmaajo government for refusing to cut ties with Qatar. The UAE operates a military base in the semi-autonomous region of Somaliland against the wishes of Mogadishu. The UAE might increase its presence in Somaliland, which is still officially part of Somalia, as an intimidation tactic. Saudi Arabia won’t rest on scheming to perturb a sense of political normalcy for the Farmaajo government. This puts Mogadishu’s struggling government on high alert. Despite the mounting pressure, Farmaajo’s approach towards the Saudis is a clear break from the practice of his predecessors. Somalia’s third President, Siad Barre, who led Somalia from 1969 till his ouster in 1991, also faced bullying and intimidation from Saudi Arabia to protect the kingdom’s regional interests. Barre, was coerced into launching a large-scale military invasion of Ethiopia although —as diplomatic cables would later reveal — the Somali leader had second thoughts on the necessity of that war. The story of Saudi Arabia’s role in the Ogaden war, fought some 40 years ago, has only been documented fleetingly. Forty years ago, the Horn of Africa, which at the time was the site of deeply dug cold war ideological trenches, saw years of brewing resentment and a clash in political aspirations result in the 1977-78 Ogaden war, in which nearly 15,000 Ethiopians and Somalis lost their lives. The two countries, buoyed by superpower backers on either side of the iron curtain, threw everything plus the kitchen sink at each other in a senseless war over “national pride.” The Ethiopian army, unprepared and bogged down by internal resistance had no initial response to the lightning advances of the invading Somali army, that plowed through their defenses and took over nearly 80 percent of the Ogaden region in mere months. Afterwards, the Soviets turned on their former Somali allies and started to back the Ethiopian war effort, sending weapons, troops and advisors as the Ethiopians finally pushed out Somali troops, reversing their gains. It was over in eight months and seen as a Soviet victory over imperial capitalism. Capitalism, because after the Soviets switched over to Ethiopia, the U.S. decided to capitalize on the opportunity to gain a foothold in the region —by arming Somalia. They couldn’t forestall Somalia’s defeat, handing the Soviets a propaganda coup for the hammer and sickle. 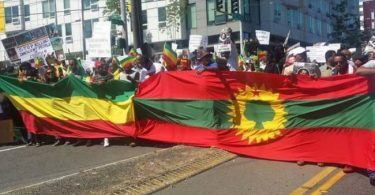 It also served as a gloating opportunity for proponents of Ethiopian nationalism, despite the pyrrhic nature of Ethiopia’s war victory. 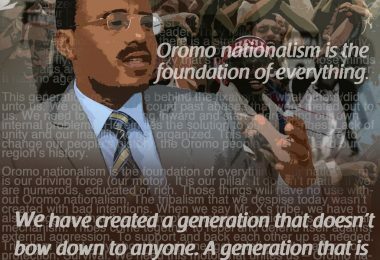 A generation of pre-millennial Somalis and Ethiopians, young men and women in their prime during the 1970s and 80s, were pan-nationalists and revolutionaries who forever changed the fates of their respective countries. The history of the Horn of Africa was forever altered by the outspoken, determined, and no nonsense youths of both states. In the case of Somalia, a nation barely a decade or so into independence, the country’s elites had designs on reuniting what they deemed to be occupied Somali territories. But now, buoyed by the empowered voices of the Somali Youth League, the country’s first political party which spearheaded the independence movement, a generation of Somalis ideologues demanded concrete action to restore their nation’s honor and pride. In Ethiopia, a nation led by an aging monarch and forever steeped in tradition and culture, was unable to satisfy the demands of the zealous up and comers. A hatred of the bourgeoisie and a sprinkling of Marxist, Socialist and Confucian doctrines gave people the idea that heads had to roll for the progressive, inclusive Ethiopia to see the light of day. They wanted to dismantle a millennia old monarchical system. Empowered, outspoken, and united by a collective desire to eliminate the traces of the elitist regimes of yesteryear, the way Ethiopia was governed would be forever changed. The leaders of both countries at the time, Siad Barre and Mengistu Hailemariam, can both claim to have capitalized on the fiery nature of their vociferous youth, to varying degrees of success. National infrastructure projects were opportunities to preach the ideals of loyalty to the “great leader,” a steadfast devotion to the motherland and a willingness to die for the national cause. Above all, a furious loathing for the perceived enemies of the state would be implanted into minds en masse as catalyst to the war efforts that would later devastate both nations. Many of Ethiopia and Somalia’s blitzkrieg generation of the 70s still struggle to get the rhythmic drumming out of their heads. The drumming is of institutional sabre-rattling that both countries used to program their youths into believing the future prospects and prosperity of their respective countries was put into doubt due to the malicious, plotting, enemy state next door. As such, some still harbor resentment and hatred toward the other nation portrayed to them as the single greatest enemy. For Ethiopia, the communist regime’s militarization of the youth saw this generation exposed to endless propaganda about the evilness of the enemy in Mogadishu. War tunes were played on the radio and television. 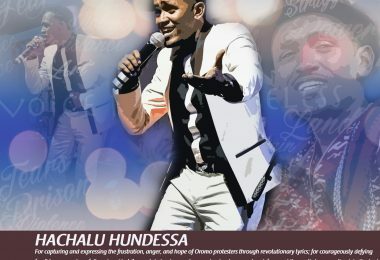 There’s even hearsay that aspiring singers who wanted to release albums had to include at least one patriotic song in order to get exposure on state media. A virtual bogeyman in Siad Barre swayed countless Ethiopians into believing that he was the reincarnation of Ahmed Gurey (Gragn), the legendary Somali leader who ransacked much of northern Ethiopia. And that he is plotting to invade Ethiopia from the East and had to be stopped at all costs. Somalis were also conditioned to believe that this was a righteous war that would shape the destiny of their nation and culminate with their conquest of a territory that’s rightfully theirs. It was time to right a historical wrong. Christian highlanders – as all Ethiopians were portrayed to be – had subjected the native Somalis of the Ogaden region to eternal subjugation unless their brethren down south rose up and forced the enemy out. Ethiopia was the epitome of all that is evil, according to the sound waves of everything transmitted locally in Somalia. 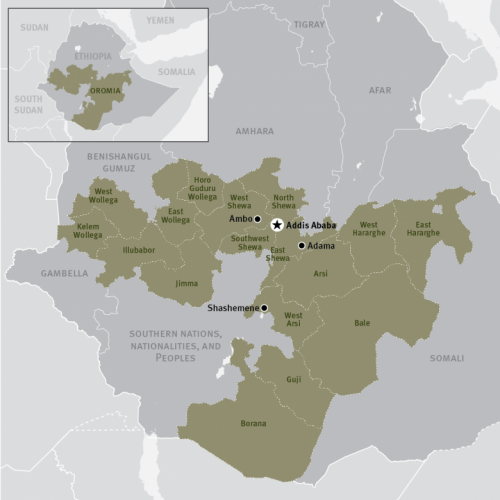 Due to the widespread nature of the propaganda campaigns, many Ethiopians and Somalis of that era still share a loathing or distrust of each other, feelings that go largely un-echoed by younger Ethiopians and Somalis, particularly those born in the 1990S and after the falls of both regimes. But while the two governments were busy riling up their respective populations for a lengthy and bloody duel, behind the scenes, the two leaders, Mengistu and Siad, appeared open to resolving their differences amicably. Their people enjoy historical, cultural and genetic ties and both countries hosted vibrant expat communities of their supposedly evil neighbor. War is a costly endeavor, and any observant politician would first exhaust opportunities for a dialogue in an effort to avoid war. As we would later find out, in March of 1977, Cuban President Fidel Castro summoned the leaders of the two warring countries to a secret meeting in Aden, Yemen. Representatives of the governments of Soviet Union and North Korea were also present. The Cuban revolutionary leader believed that war between what were at the time, two communist republics in Somalia and Ethiopia, was counterproductive to the greater good. It would open the door for imperialists from the capitalist West to maneuver into the region. And this would weaken the communist bloc. As such, he urged Siad Barre to tone it down and consider alternatives. Among the solutions proposed by Castro, the two countries living federated into a single communist republic where the inhabitants of the Ogaden could enjoy a degree of regional autonomy. The idea was with the hope that the citizens of both countries would be further linked by sovereignty and newly established economical ties. This would force the peoples of both countries to work together on common solutions for the land disputes that were the key issue behind their enmity. War would be avoided. According to diplomatic sources, Siad Barre wasn’t opposed to the solution of a greater confederation. In fact, he seriously considered it. Although the two leaders were hard headed and aggressive toward each other in face-to-face meetings, common sense appeared to have prevailed over their ego. In April 1977, months before the breakout of war, Soviet diplomat Nikolai Podgorny met with Siad Barre in Mogadishu. Despite the public image of a no nonsense warmonger, the Somali leader told the Russian envoy that he was open to working toward a diplomatic solution. According to a 1986 report by the British Conflict Studies Research Center, Siad Barre went as far as vowing to never attack another socialist country. In public, he tried to remain true to the personality cult that was developed around him by maintaining his bashful and arrogant demeanor. But, behind the scenes, he eventually became a softer, much more refined statesman. He even urged the Soviet Union to setup a forum where he could meet face-to-face with Mengistu and negotiate to end the standoff on mutually beneficial terms. This was in April. The war broke out in July, barely three months later. Why the total breakdown in communication when both parties were at one point, open to solving things peacefully? In an interview with a French language media outlet, Fidel Castro accused Saudi Arabia and its proxy states of fueling the Somali war effort in order to weaken Ethiopia. The Saudis appeared primarily concerned with consolidating their grip on the Red Sea and surrounding areas. Ethiopia (prior to Eritrea’s unofficial independence in 1991) was a Red Sea state and it was opposed to Saudi Arabia both politically and ideologically. Scholars agree that Riyadh appears to have played a role in egging on a somewhat reluctant Siad Barre to go to war with Ethiopia. In her 1982 book Soviet and American Influence in the Horn of Africa, John Hopkins University professor Marina Ottoway details how in May of 1977, a month after Barre’s verbal assurances to the visiting Soviet diplomat of his commitment to a peaceful resolution, the Saudi government offered Barre $200 million to abandon the Soviet initiative and go forth with war plans. The Saudis knew Barre would be under armed since the Soviets were unwilling to continue arms deliveries to Somalia to be used against a fellow socialist state. So Riyadh promised to equip the Somali army on the condition that the invasion of Ethiopia commence at the soonest. Brownnosing and bribery appear to have swayed the indecisive Siad Barre into pushing forth with the plans for all out war. A declassified CIA cable from 1978 all but confirms Saudi Arabia’s role in pitting the two African nations against each other. The document is a communiqué from then CIA assistant to the U.S. National Security Council, Paul Henze, to American diplomat Zbigniew Brzezinski. Dated March 23, barely weeks after the joint Ethiopian-Cuban military victory over Somalia, the cable fills Brzezinski in on a conversation Henze had with Saudi Arabia’s Vice Foreign Minister Abdal Rahman Al Mansouri. Al Mansouri apparently told Henze his government had no interest in Ethiopia but to overthrow the government and rid the country of communism. He expressed frustration that Saudi efforts via Somalia had been futile and that they don’t care about Somalia’s expansionist ambitions although the Saudis convinced Siad Barre of their support for his cause. Henze then explains that Al Mansouri was indeed forced to twist Siad Barre’s arm in order to convince him to go to war. Al Mansour’s bluntly assesses his country’s meddling in the region as having been a failed project. Saudi Arabia’s political aspirations saw it push two neighboring African countries, Somalia and Ethiopia, to the war that ravaged the region. Not only did the war cause widespread death and destruction, it actually backfired terribly on Somalia as it became catalyst for the rebellions that overthrew Siad Barre in 1991 and caused the turmoil and lawlessness that have plagued Somalia ever since. 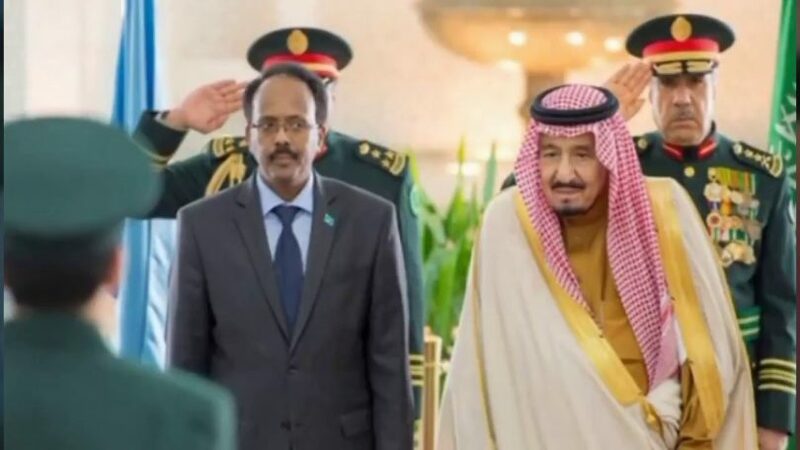 Despite their clear role in the endless instability Somalia would soon find itself in, there would be no Saudi involvement in cleaning up the mess of post Barre Somalia. As the country’s Vice Foreign Minister Abdal Rahman Al Mansouri clarified in his conversation with Paul Henze, Riyadh plain and simply didn’t care about Somalia’s woes. Fast forward to 2017, some 40 years or so after the former Somali President was egged on by Saudi Arabia into gambling with the lives and stability of millions of his countrymen, the current Somali President remains stoic. Although any decision to cut ties with Qatar will be nowhere near as catastrophic as the decision to launch an invasion of a neighboring state, history would suggest that Saudi Arabia would most likely turn a blind eye and refuse to involve itself in the cleanup if severing ties with Qatar ended up harming Somalia. Learning from history, today’s lawmakers in Mogadishu have decided against trusting Saudi Arabia. It was Saudi Arabia that coaxed the hesitant Siad Barre into launching what would become the Ogaden war. Despite all parties indicating behind closed doors that they shared a desire to solve things without war, the urging of a ruthless, warmonger state in Riyadh was influential in starting the war that resulted in the total crumbling of Somalia’s foundations. For Somalia, a country listed today by most researchers as one of the most corrupt in the world, it is a welcome change. It is also further evidence of the country’s increasing ability to shape its own destiny without being baited into chewing onto a fishing rod cast by states pursuing interests at the expense of Somalia, states that “do not care about Somalia.” The failure of the regional powers to hijack the country’s political process in 2017 and Mogadishu’s tearing up of Riyadh’s GCC memo testify to this. The increasing evidence of Somalia’s stronger political grip on Somalia makes for many feel good stories and can even be a source of national pride. But the burning questions linger: how much more resolute is the new look Somalia government? What else do the Saudis, obviously irked at having been rejected, have in store for the disobedient Farmaajo? Can Somalia, already mired with a plethora of issues including terrorism and poverty remain resilient in the face of an increased diplomatic and political onslaught against them? Time will tell. For now, Mohammed Farmaajo, long feted as a nationalist, can somewhat claim to have superseded Siad Barre in this aspect: he has removed his country’s name from the Saudi Arabia government’s list of banana republics. not only interesting but summarizes historical backgrounds, political developments as well as events of both Somalia and Ethiopia in last quarter of 20th and early years of 21st century. whst a great article it is!